This month we want to acknowledge Anne’s many years of service to Capitol Land Trust and to the environment. Prior to moving to Olympia, Anne lived in the Washington, D.C. and Baltimore, Maryland areas, where she became an environmental planner, worked for The Nature Conservancy, and helped start a land trust. So when Anne moved to Olympia in 1996 and wanted to volunteer with Capitol Land Trust, she was quickly invited to join CLT’s Board. Anne served on the Board for two years, during which time she helped CLT develop criteria for evaluating lands that were being considered for conservation. Anne left the Board to enroll in The Evergreen State College’s Master’s in Environmental Science program. After earning her M.E.S. 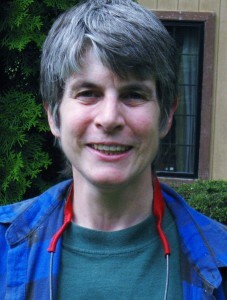 degree, Anne spent several years under contract with numerous organizations and agencies: writing habitat management plans; delineating wetlands; writing grants; and doing other technical writing. 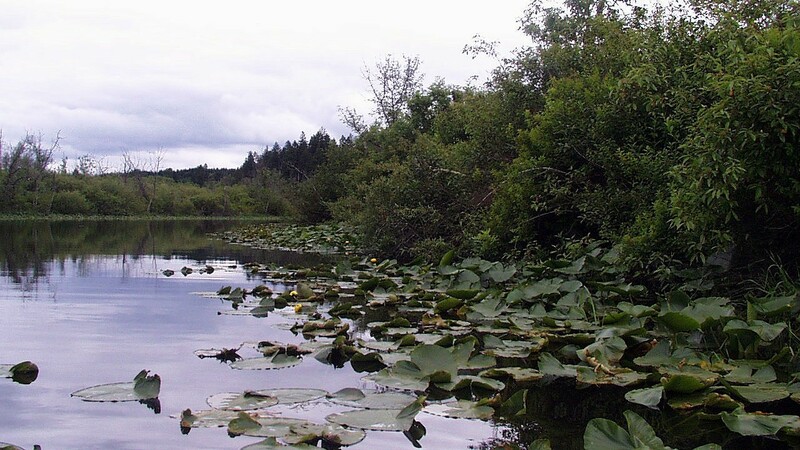 As a result, Anne has played a part in many well-known conservation projects in the Pacific Northwest, including the Nisqually River delta restoration. Anne returned to volunteering with Capitol Land Trust in 2009, serving and playing an active role on the Lands Committee until she stepped down in October of last year. Anne also became a volunteer Land Steward because she loved being outdoors—especially in forests and wetlands—and being a Land Steward allowed her to accompany and assist CLT staff on annual monitoring visits to CLT properties. Anne continues to serve as the Land Steward for three CLT preserves in the Black River Watershed: Defelice; Tilley East; and Tilley West. In addition to volunteering with Capitol Land Trust, Anne volunteers with the Washington State Recreation and Conservation Office, where she serves on a panel that reviews and evaluates grant proposals. She also is an avid birder, and has volunteered in various capacities with the Black Hills Audubon Society. Through all of her volunteering, Anne continues to run Environmental and Biological Services—a business that offers technical writing and editing, and biological planning services. Thank you, Anne, for the many ways you have served and continue to serve Capitol Land Trust and the environment!